“The UAE authorities are trying to brand 2019 as the ‘year of tolerance’ and are now seeking to cast the Pope’s visit as proof of their respect for diversity. Does this mean they are ready to reverse their policy of systematic repression of any form of dissent or criticism?” said Lynn Maalouf, Amnesty International’s Middle East Research Director. “Since 2011, the authorities have systematically cracked down on their critics, including activists, judges, lawyers, academics, students and journalists by way of arbitrary detentions, enforced disappearance, torture and other-ill-treatment”. “It will take more than symbolic meetings to gloss over the UAE’s appalling human rights record. 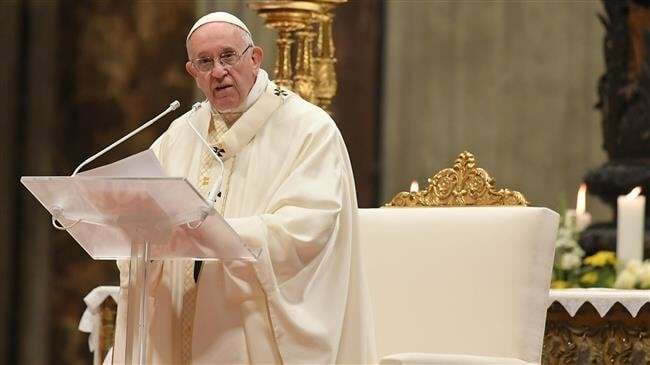 The fanfare around Pope Francis’ visit will be missed by the many human rights defenders, including Ahmed Mansoor, Nasser bin Ghaith and Mohammed al-Roken, who are serving lengthy prison sentences simply for exercising their right to freedom of expression. We are calling on Pope Francis to raise the issue of their incarceration with his hosts, and urge their immediate and unconditional release,” said Maalouf.